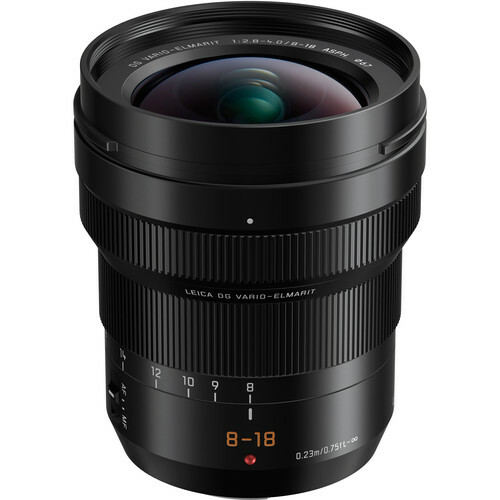 Wide-angle zoom designed for Micro Four Thirds mirrorless cameras, this lens offers a 16-36mm equivalent focal length range. One aspherical ED element, three aspherical elements, two extra-low dispersion elements, and one ultra high-refractive index element all combine to suppress color fringing, chromatic aberrations, and spherical aberrations for high clarity, sharpness, and color accuracy. Nano Surface Coating has been applied to individual elements to control lens flare and ghosting for improved contrast and color fidelity when working in strong lighting conditions. Fast 240 fps autofocus drive delivers smooth, accurate, and quiet focusing performance to benefit both stills and video applications.